“In this digital age, we live through our screens, documenting the moment. We no longer look; we film. We no longer listen; we tape. And we no longer talk; we post.” It comes as no surprise that the digitally-averse Alber Elbaz, creative director of Lanvin, would scrawl this quote on the window to his new exhibition. He once famously said that he doesn't own a computer. 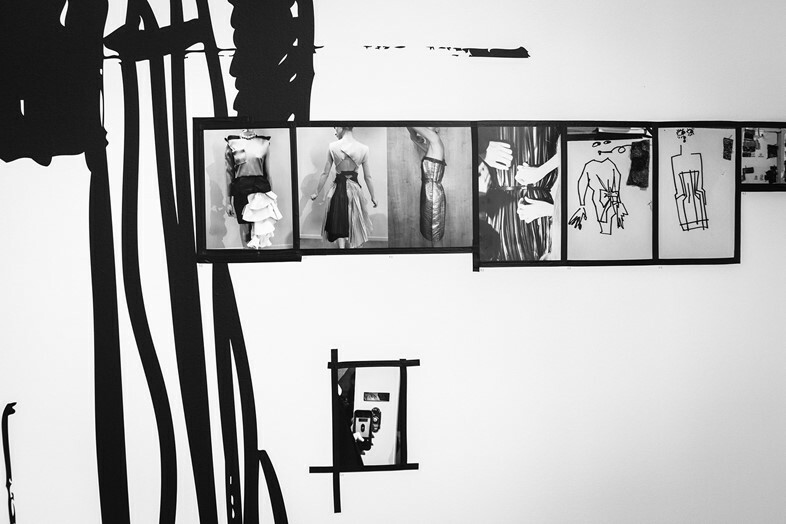 However, talking to Elbaz about the genesis of his new exhibition, Alber Elbaz/Lanvin Manifeste at the Maison Européenne de la Photographie, one would find it hard to believe that he is actually so detached from the modern world. 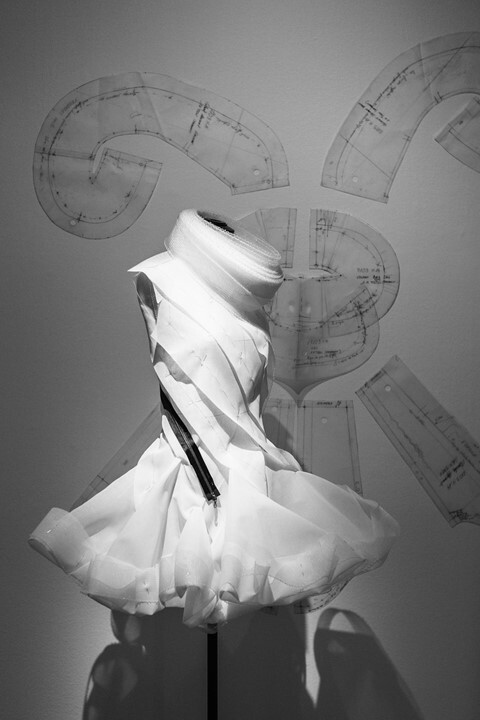 Asking questions like, "What are the ramifications of couturiers becoming image makers?" 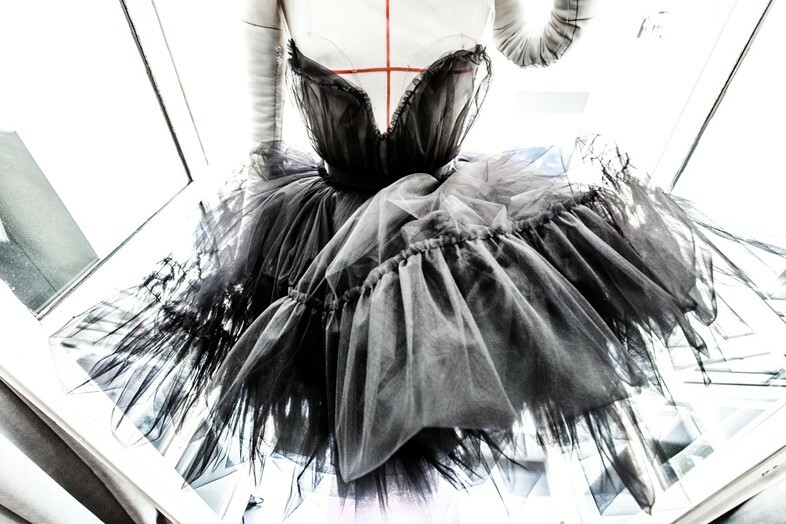 And, "How has technology affected the way we see fashion today, not as a physical garment but as a digital image?" Rather than damning the digital age, he is probing into the way that technology impacts the way we that interact with fashion. His method of commentary? The raw seams and the witty packaging prints in his latest collection, as well as the five rooms of the exhibition that lays out his Manifeste. 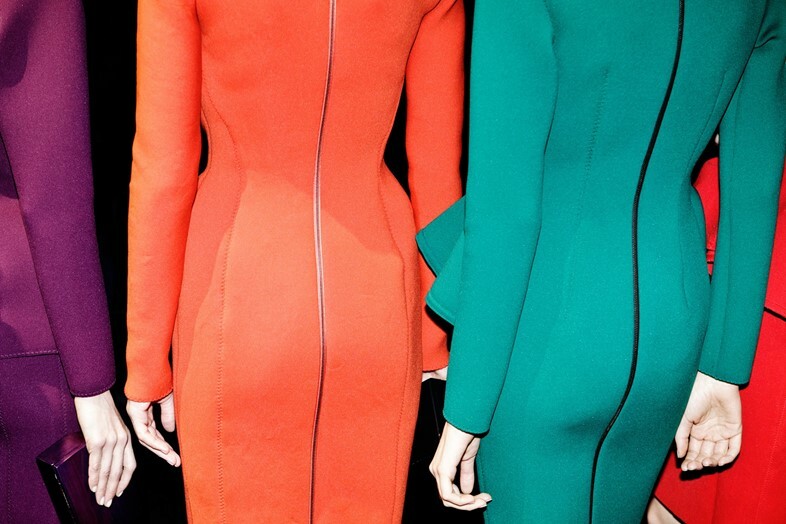 "There is an interesting relationship between fashion and photography – today, the camera is not just documenting the dress but is actually influencing its design. I mean, we used to be called couturiers, then we ended being designers and then creative directors – and today, the whole idea of image making has become the name of the game. The buzz is sometimes more important than the product, the packaging is almost stronger than the inside." "Today when I see women trying a dress on, the first thing they do is take a picture: they want to see how they look in a photo. This is a phenomenon; I keep asking myself, 'did the photo replace the mirror? Do women today dress for their body or for the photograph – what is more important to them?' Then I start to question the whole world of technology and its rapidity: the fact that you can click and delete, that you can click and appear. There is something about the process, about the workmanship versus technology and the speed of the photo. Is the only way to be heard today to scream on the screen? Is there a place for whispering? "I always talk about American Idol, which is not about newness; it's about the songs that are familiar. There are four judges, but they don't judge: America decides. Maybe that's the beauty of technology, that it makes the world so much more democratic, that people can have an opinion and decide if they like something or not, rather than relying on the judgement of a small group. It's an interesting phenomenon in design, because you have to create in a way that works on the screen, and is attractive to the masses. So, these days, do you have to be a little less extreme, because you have to be liked by more people?" "When I ask people, 'How are you?’ and they say, ‘Wonderful’, I’m not relating to them. When the manicure is fresh, and everything is matching, and the husband is gorgeous, and the secretary is just a secretary... and it's just perfect, it doesn't work. In design, it starts when you make mistakes, and when you are lucky, and you don’t have what you need to have, and have to find solutions. I like the idea of creating something out of nothing." "Technology brings the dream to everyone: you can be deep inside middle America, but you can see what is happening in Paris. But there's nothing wrong with not knowing everything when you're 16; you don't need to be all over the world, you need to keep some dreams for yourself because that's what keeps you moving. When I interview people who have graduated from the best schools in the world, and who live in the most urban cities... they’ve seen it all, they know it all. Then I might interview someone who hasn't come from the most affluent place, but they have a dream. That is the drive. The dream, the drive and the desire are a part of fashion, too." "I think that there was more of an evolution than a revolution; revolutions might makes a lot of noise but, in terms of history, they don’t always prove themselves as good things for humanity. And I like the word manifesto because 'main' in French means hand, and 'festo' in Latin is the truth, the fact. The manifesto is about the truth of our work, because it’s very easy to be misguided in this bizarre industry." "On the other hand, when I see this industry, I see that there are so many good people that are hard working, and maybe what they are wearing is a bit of a costume to protect them. 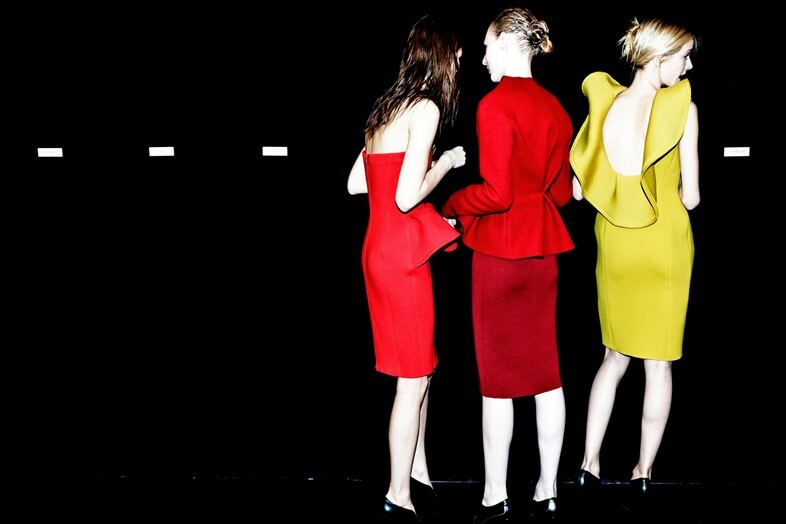 There is a lot of beauty and fragility in fashion people – more than other people think. At the end of the day, maybe we are no longer the industry of newness, because that was taken by technology, but we’re still an industry of a man and a woman and a thread and a needle, and of fabric, and a dream. And we need the dream." 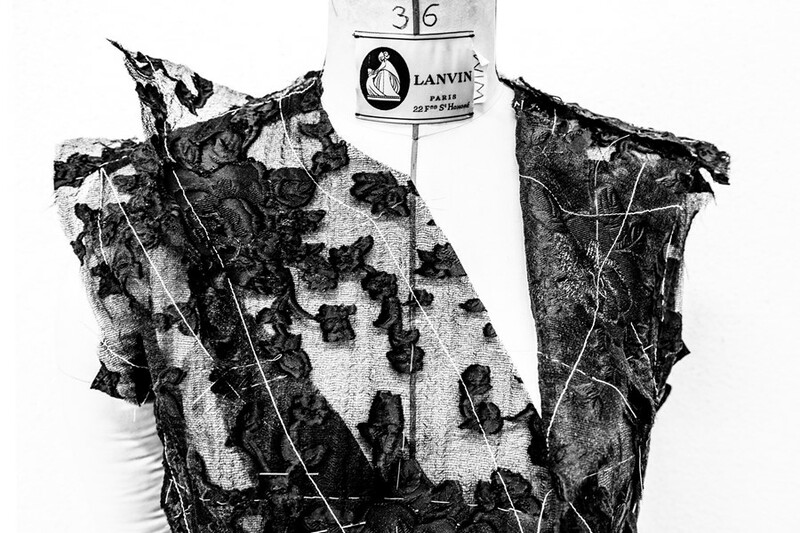 Alber Elbaz/Lanvin Manifeste runs at the Maison Européenne de la Photographie in Paris until Oct. 31, 2015.